And no matter how concerned they are about the possible amount of weight they could gain, some of them have no choice. They just hope that with the amount of work they do, whatever fat they would intake will burn. But there is actually a way to stay fit even if you eat most of your meals in fast food restaurants. 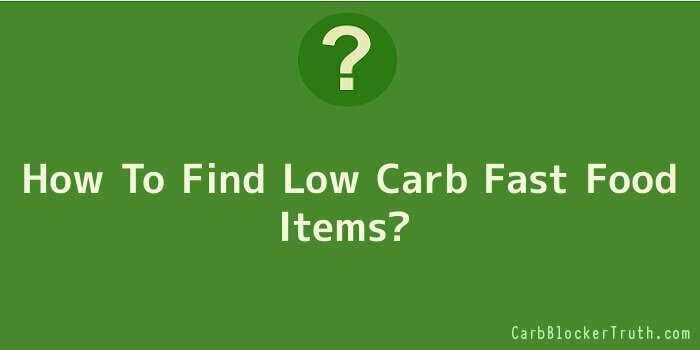 Below, you can find some of the tips that could help you on how to find low carb fast food items. With such knowledge, you will know which restaurant offers the salad or sandwich with the least amount of carb. After reviewing such, make sure that you only choose the low carb fast food items. For example, it is better to buy grilled chicken instead of fried one. More so, you will see that in the salads that these restaurants offer are many add-ons line tortilla strips, croutons and other proteins. By not touching those could lower the amount of carb intake. You also have to be choosy when it comes to the dressing because some have too much sugar added in it.